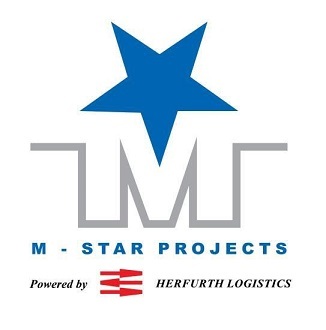 Herfurth Logistics, XLP member, is proud to announce the launch of its new brand M-STAR Projects, dedicated to Project Logistics, Breakbulk, Ro-Ro and High & Heavy. It has been about 2 years by now – on January 1st, 2017 – that the Herfurth Group took over the company M-Star Freight Agencies BV located in Rotterdam (The Netherlands). Those 2 years gave different project logistics departments the time to know and meet each other in order to optimize and integrate the competences and know-how of the two companies Herfurth Logistics and M-Star Freight Agencies and to give birth to a new organization called M-STAR Projects. M-Star Projects has a dedicated team of very well skilled people located in the Netherlands, Belgium, France & Turkey. Whilst the legal entities in each country remain unchanged, this new brand will accentuate ‘HERFURTH LOGISTICS’ knowledge and dedication to service the industry in terms of non-containerized logistics, both locally and globally. XLProjects members by and large are proud of their relationship to our project logistics network because we allow only qualified members yet we get them all over the world. The management of XLProjects as well have been involved in this market on both sides of the project cargo business; from the networking standpoint as well as the project logistics field itself. All of our XLProject member partners are uniquely qualified in heavy lift handling, breakbulk cargo and project logistics transportation, whether by ocean charter, air charter or overland. XLProjects members are all well known in their home markets and have been involved in some of the highest profile project lifts and movements in the world. And these are precisely the kind of people and companies you would look for in a network like ours. If you feel your company is qualified for membership and would like to know more about XLProjects please contact us. We are more than happy to follow up!